Wishes Come True... Only $85 to $115/Night! Our lovely, well maintained condo is located on the ground floor of the building with a large lanai and a beautiful tropical garden view. The unit faces a stunning plumeria tree with lushes green landscaping and surrounded by blooming shrubbery. This vacation condo is a short walk from one of Maui's finest beaches, Charley Young Beach. Shopping, markets, and restaurants are located within walking distance. 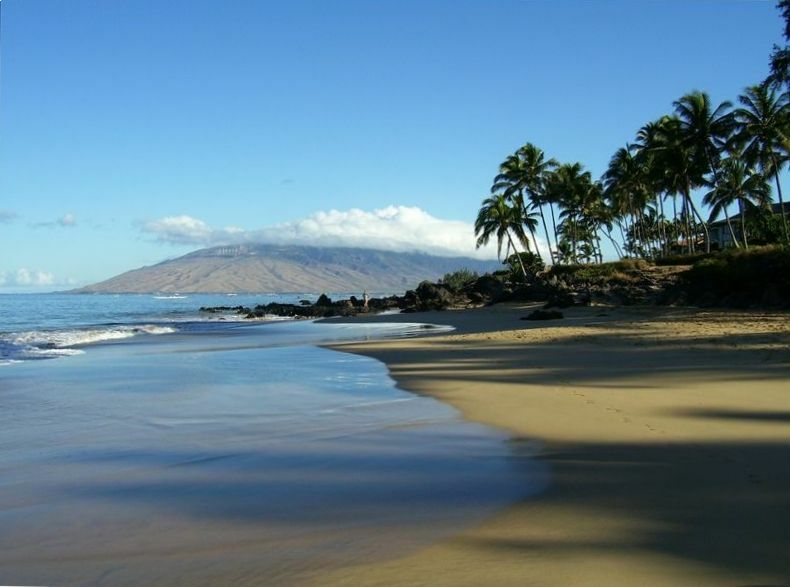 Maui Vista is in the heart of Kihei with good snorkling, ocean swimming and surfing. Spend your day walking on the beach, playing tennis, relaxing by the poolside, enjoying a book, or shopping for gifts. There is world class golf nearby. Enjoy the beautiful sunsets and a stroll on the beach. There's always something to do. The well maintained condo is one bedroom with a queen size bed. It has an air conditioned living room, with ceiling fans in both living room and bedroom. There is a flat screen TV and computer access is available. The unit is fully equipped with all kitchen utensils and BBQ equipment. Queen sofa bed is in the living area for additional sleeping. Linens are fully furnished. Beach towels, a cooler, beach chairs and boogie boards are convenient for your use. Spend your vacation in paradise and have your wishes come true. Free parking permit available in building 1 at front desk, needs to be obtained in person with proof of insurance. We have an WIFI to access the internet! No pass code from us needed, you use your own! Lanai over looks grass belt with beautiful island flowers and trees. Tennis courts available on building grounds. We have a variety of activities and fun things to do, can always email you the list! Stayed for 2 weeks. Did so much stuff I need a vacation. The food on this island is outstanding. The condo we stayed in was in great shape and in a great location. The owners even checked in on us to make sure everything is going all right. Perfect condo for our family trip!! We had an amazing stay at the condo! It was perfect for our family and had everything we needed to enjoy our time in Maui!! The location was awesome and was a quick 5 minute walk to the beach! We liked being able to walk into town and enjoyed the nearby restaurants! I would highly recommend this condo and appreciate all Ed and Kathy do to make it a wonderful vacation get away!! Amazing vacation in an amazing location! Thank you Kathy and Ed for sharing your beautiful condo with us! It was clean and had all the amenities we could have needed for our vacation! It is in a great location very close to the beach! The condo has beach chairs and all kinds of other great gear to use on the beach. We loved being on the ground level and the other units were quiet so it was a very peaceful and relaxing vacation. We would definitely recommend your condo to our family and friends and look forward to possibly staying there again in the future! Mahalo!! This is the second time we have stayed in this very comfortable condo. The owners are fantastic extremely helpful. The condo is centrally located to shopping and restaurants and right across from the beach. The owners graciously supply everything that you need for a fabulous vacation!! Thank-you Paula and it is always nice to have guest we have gotten to know. Soon I start to know all of you and it's like having a return family. Hope to have you again in the future. You are a very nice couple to have stay in the condo. We loved being on the ground level with our 2 kids aged 2 and 6. Grandparents stayed 2 lanais down so kids could play in back garden and run back and forth between the 2 condos. Loved the insdie of the condo, very bright, cozy and beachy, and the lanai and the location. Charley Young beach is right across the street and connects to Kamaole 1 beach which had great snorkelling (with sea turtles) off the end. Condo was stocked with lots of amenities that other people had most likely boughten while staying there but didn't want to take home with them on the airplane (eg. sunscreens, ziplocs, etc) We would love to stay in this particular condo again but only if some things are updated/fixed: 1. patio screen door was completely broken (holes and kept falling off it's wheels) 2. bathtub drain plug broken and took multiple tries each time to try and 'lock' it so bathtub could fill. Sorry about the screen door. We were informed by our cleaning lady. I had to special order a new one and it is still being delivered. It take longer since everything comes from the mainland. I did inform other coming into the unit. We didn’t know there were any problem with the DVD. Thank you and we will replace it. Thank you again for the recommendations.We will take care of the issues. yes wishes do come true! I thoroughly enjoyed my extended time in this condo... very quiet. It is lovely to sit on the lanai and watch the trees blowing, listen to the birds and relax with the lovely green lawn since this is ground floor. The condo had everything I needed including beach chairs and towels. The art work by Kathy is lovely. I could quite happily live here but others keep booking it also!! Thank you for my temporary home away from home. Thank-you Sandy, we love having you. You have gotten to be like family since we have gotten to know your better through the years. Cleaning and taxes are included in the daily, weekly, and monthly rates. A deposit of $100.00 is required to reserve and confirm your stay. You may use VRBO easy pay by credit card of e-check or you may mail a check or money order to the owner. The balance is due 30 days prior to your trip. The money should be in US Funds. Upon receiving the final payment your will receive keys and information.